Yesterday saw the second sunny market of 2013: two in a row, that hasn’t happened for a while! We’re hoping the sun will keep shining on us because we’re lining up some excellent stalls and entertainment for the coming months. Thanks to everyone who came along. 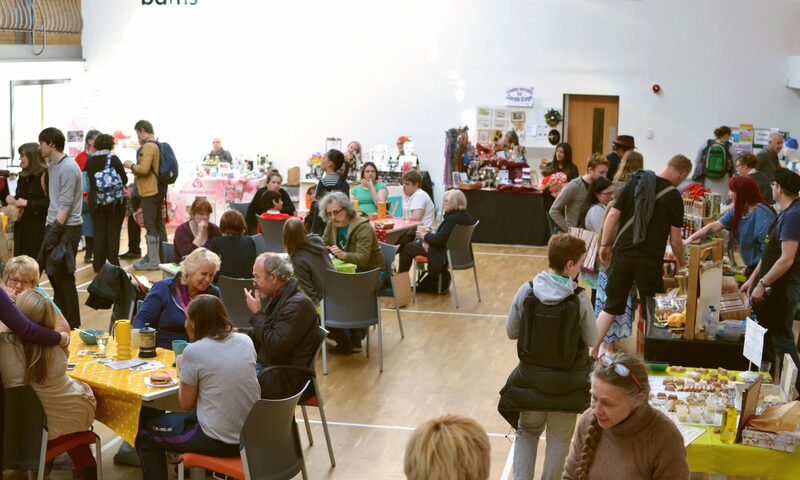 We’re really pleased that as we head toward our 3rd birthday the market is continuing to expand, our food offering is diversifying, and we’re able to feature new stalls each month, so there’s something different every time. Yesterday saw some great beers from London’s artisan breweries courtesy of Stirchley Wines, the return of Pip’s Hot Sauce, an ever-growing range of products from Cufuffle Chutneys, plants from Andrew’s Plants and Eat’s and Leaves, deli-delights, meat, and a barbecue from Squisito, homemade candles from Jo Hickling, photos from Digital Photo Art, the debut of Kuskus‘ excellent Middle Eastern inspired vegetarian mezze, and much, much more. As ever, we’re massively grateful to all our amazing stallholders for making the market what it is. We also managed to set up and take down the stalls and gazebos in record time thanks to a brilliant team of volunteers. It takes quite a few man/woman hours to make the market work on-the-day and we are always touched that so many people helped us make light work of it. We look forward to seeing you all next month. Really wish we could have made it down to the last market, what a difference the sunshine makes. Sounds like you’ve got some amazing food and beer on offer. We’ll definitely make it to the next one. Ummm veggie mezze!